Speed matters. How do you like that for a sales pitch? 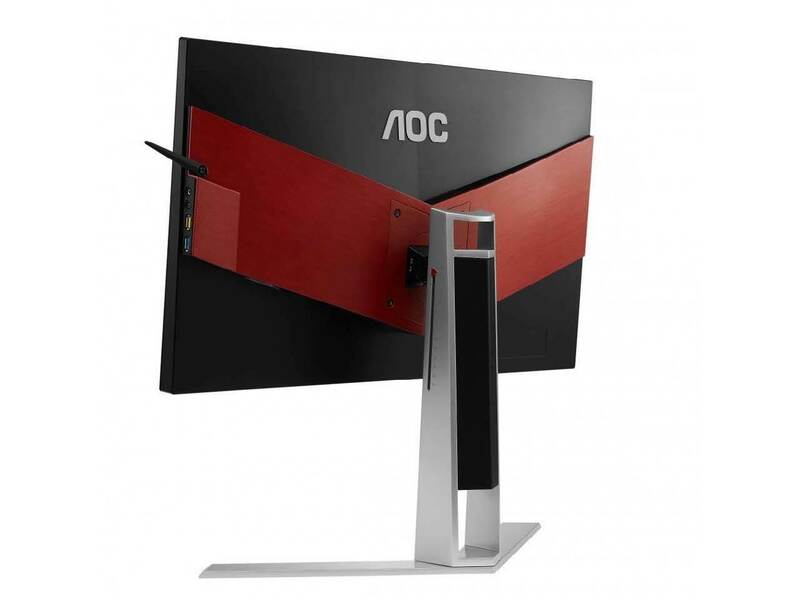 If there’s any truth to it, you’d think AOC’s AGON AG251FZ gaming monitor is a certainty for success. After all, it clocks in with 240Hz refresh rate capability. 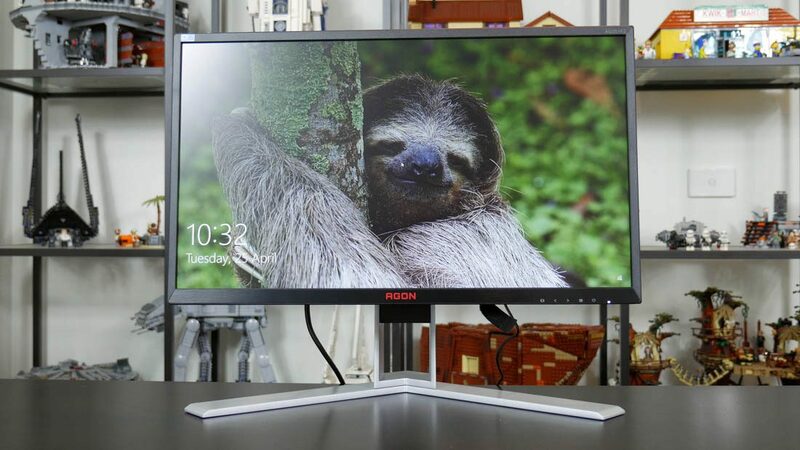 It wasn’t too long ago that LCD monitors capable of anything north of 60Hz were unusual. Now, 120Hz and even 144Hz screens look like technological chumps. Alt fact: Humans can only see at 30Hz. But, as refresh rates creep ever higher, a conundrum slides into smoothly-rendered view. 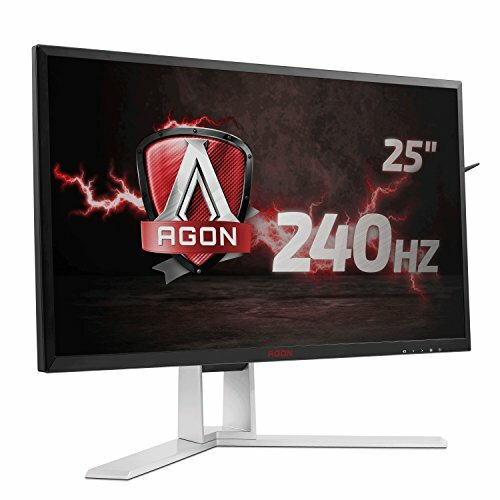 Is there a point at which increasing the refresh rate stops making a difference? What are the limits of human vision here? Hold that thought while we navigate the AG251FZ’s main feature set. It’s a 24.5-inch LCD monitor with a Full-HD 1080p native resolution—that’s 1920×1080 pixels. In this age of the 4K, 40-inch TV for under $400, the AG251FZ looks painfully pricey. That value only looks worse when you consider that it also uses low-cost TN panel technology, not the more expensive IPS or VA alternatives. But there is logic to all this: To drive the latest games at full detail, fast enough to make full use of that 240Hz refresh capability, is no small feat, even at 1080p. Up the ante to 4K or even 1440p, and the chances of achieving anything close to 240fps are outstandingly remote, even with the most powerful graphics hardware. Similarly, given the remit is fast-paced gaming, using the fastest screen tech, even if it has shortcomings in other areas, makes sense. Add to that a number of other gaming-friendly frills, including a low input lag mode and FreeSync support, and the result is an overall package that looks promising, even at that price. But how good is it in practice? For starters, the TN panel is one of the better examples of the twisted nematic art we’ve seen. In fact, for colors and contrast, it’s as good as we’ve seen from this panel type, other than the recent crop of 4K TN models, which are really in a class of their own. It’s still not really a patch on the best IPS and VA screens, of course. That’s especially true if you factor in the latest models with quantum dot or HDR technology. Most obvious are the relatively narrow viewing angles. It’s the one metric by which TN technology has conspicuously failed to close the gap on other LCD panels. But in isolation, the AG251FZ puts on a decidedly decent show for basic image quality. So what of that crazy-high refresh rate? We’re in the realm of subjectivity, but for what it’s worth, in various synthetic tests, including text scrolling and image panning, it is just possible to discern the difference between, say, 120Hz and 240Hz. It’s not nearly as obvious and dramatic as the step up from 60Hz to 120Hz, but it’s there. Picking that difference out in games is a whole different story, however, and it’s not something we could do reliably. Now, that’s not to say there are no benefits, but they are relatively subtle. Of course, that’s assuming you can even drive said game beyond 120Hz. That said, the AG251FZ’s other gaming features certainly add to the package. The pixel response is about as good as it gets, and the overall experience is utterly lag free, even without enabling low-lag mode. If you’re looking for a seriously quick and slick panel for first-person shooters, the AG251FZ should certainly be on your list. For everyone else, it’s something of a niche proposition. 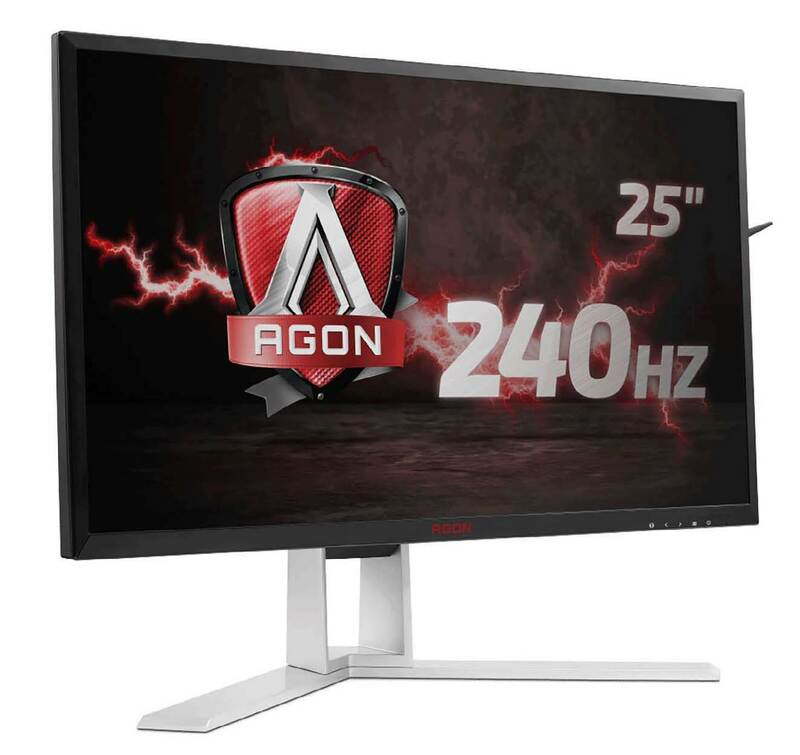 Even for gamers, the benefits of 240Hz are probably marginal versus a 120Hz monitor. In reality, most will prefer more pixels or a higher quality panel for similar money.